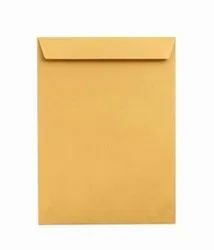 We have wide range of Business Correspondence Envelopes in all the standard sizes , Shapes & color Options. These are made from fine grade of paper to provide toughness & strength to the envelopes. They are ideal for sending Domestic & International Couriers. These envelopes can also be printed with basic client Information like Company Name , Address , Contact Details etc as per requirements. 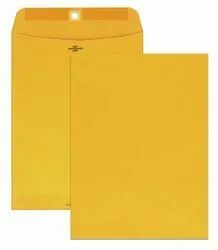 A4 Size Yellow With Inside lamination envelopes , ideal for Sending A4 Size Paper Documents , Strong & tough envelopes , long lasting. Custom Printing Of Co Details Etc can be done on the envelopes as per customer requirements. A3 Size Yellow With Inside lamination envelopes , ideal for Sending A3 Size Paper Documents , Strong & tough envelopes , long lasting. 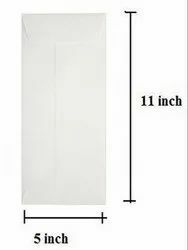 Extra White 10x4.5 Inch White Color envelopes ,Cheque Size , Most Widely used in business Correspondence. Mutli Purpose. Available in Higher GSM Paper in extra smooth & bright finish paper . 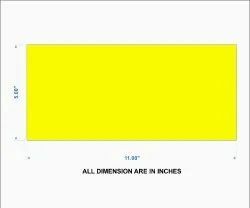 10X14 INCH Size Yellow With Inside lamination envelopes , ideal for Sending 10X14/ FS Size Paper Documents , Strong & tough envelopes , long lasting. 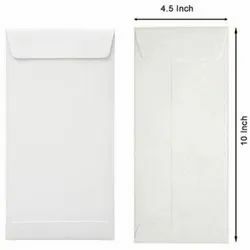 White 11 x5 Inch top side opening Business correspondence envelopes.